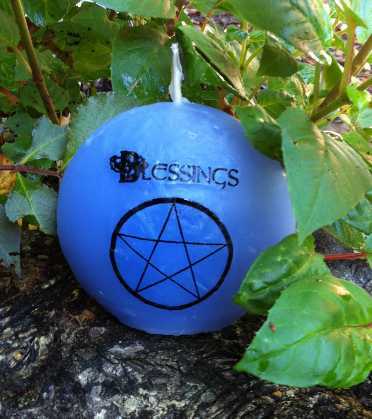 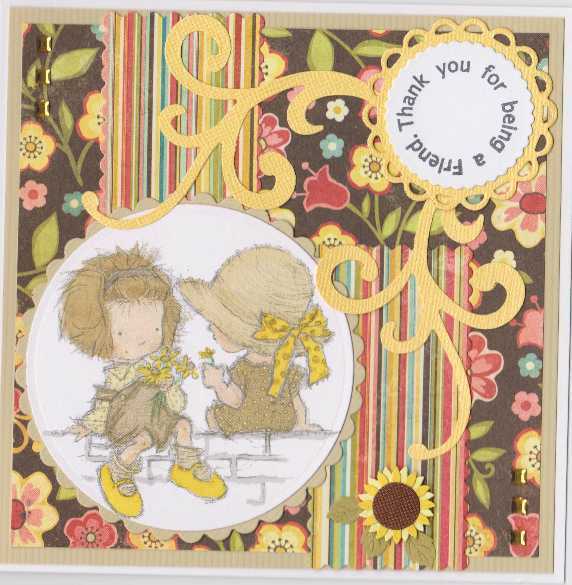 Thanks so much for sending them in! 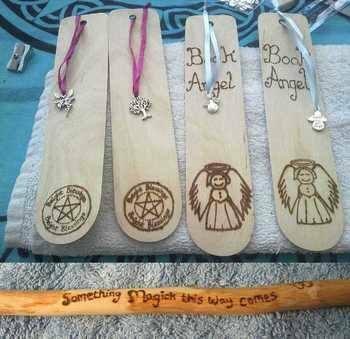 Lovely rustic magic key sign by Lisa Hall. 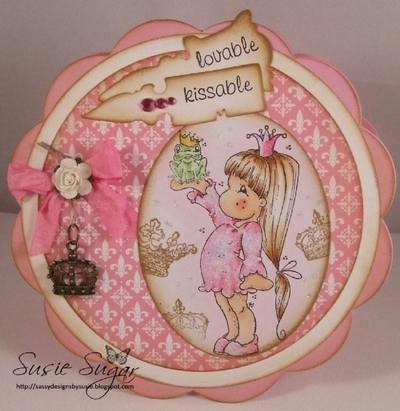 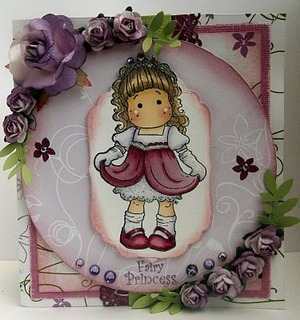 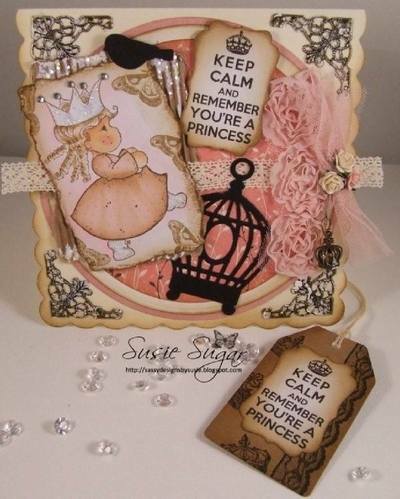 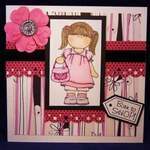 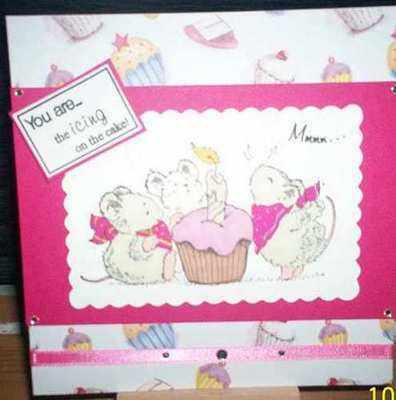 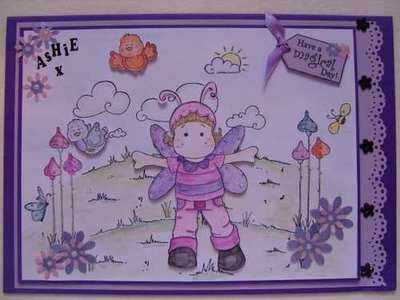 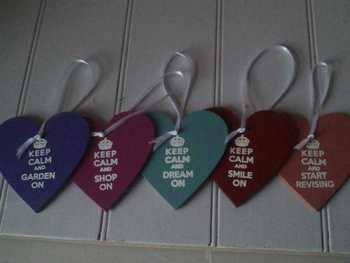 Susie Sugar's 'Keep Calm and Remember You're a Princess' stamp and gorgeous card she made with it. 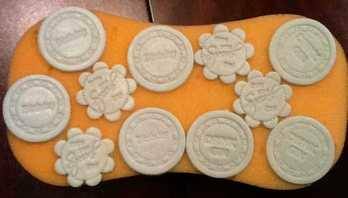 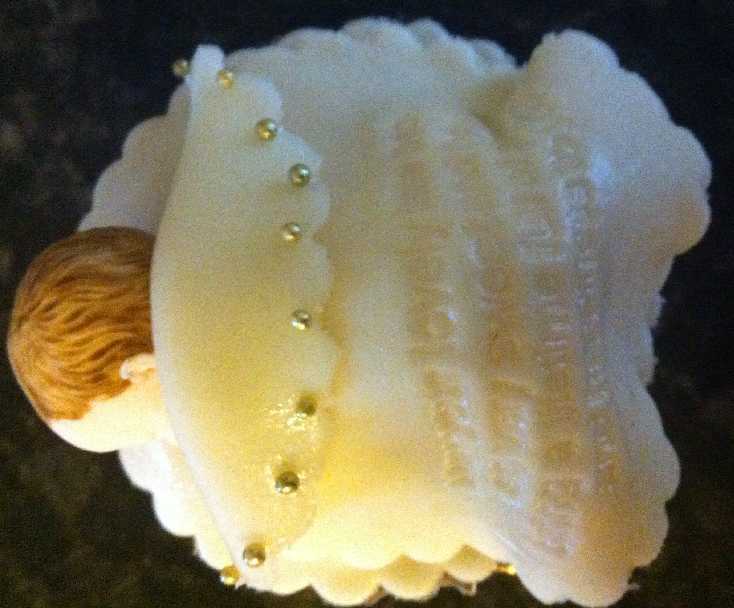 Ella is embossing on candles! 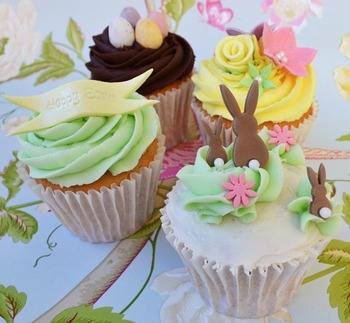 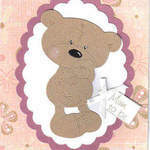 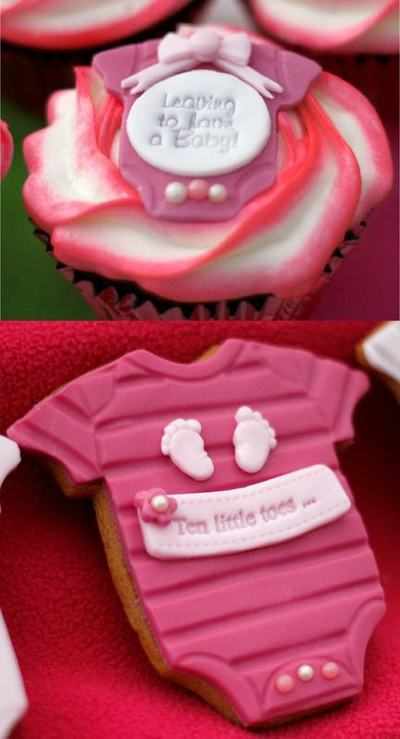 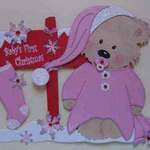 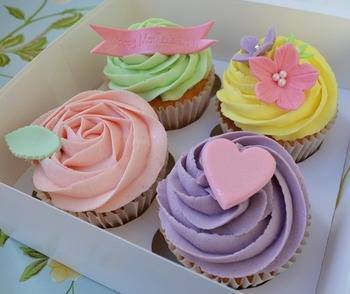 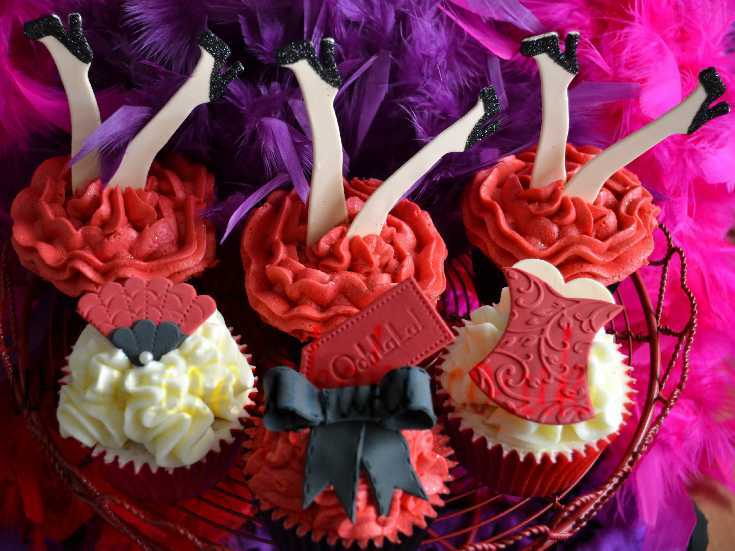 Very sweet baby cake topper! 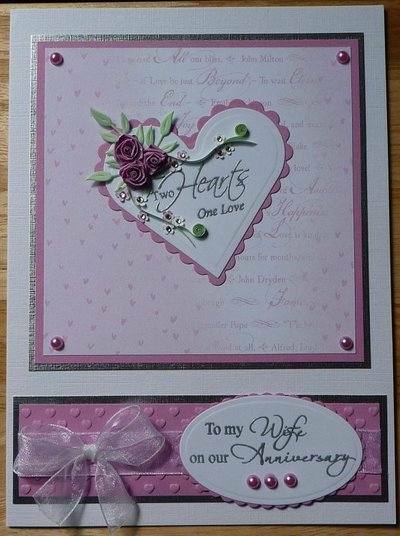 Gorgeous Anniversary card by Karen S. The sentiments are embossed in silver on die cut shapes and the heart is beautifully embellished. 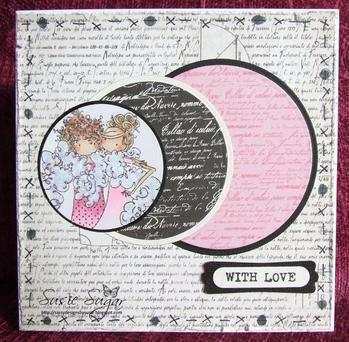 used some of the circle stamps. 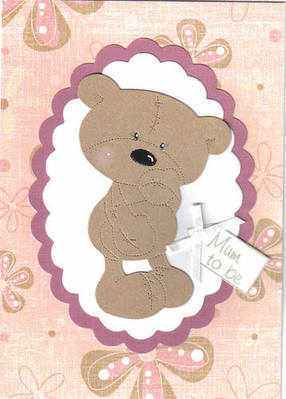 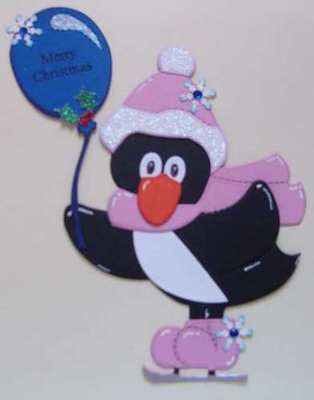 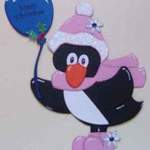 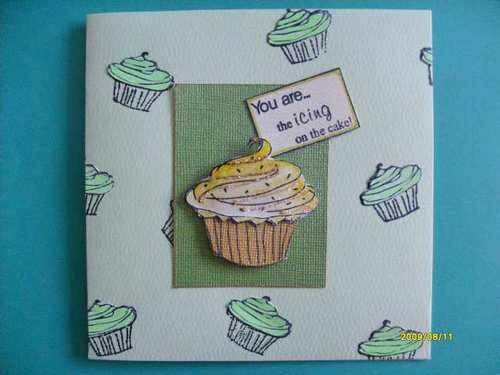 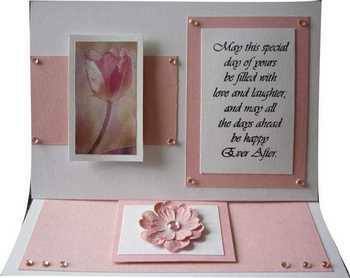 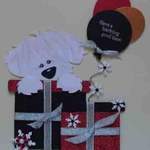 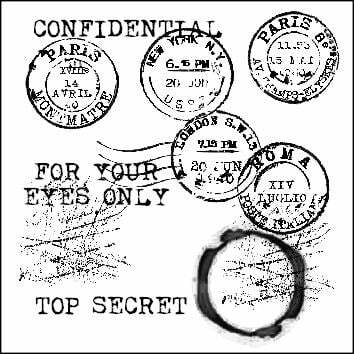 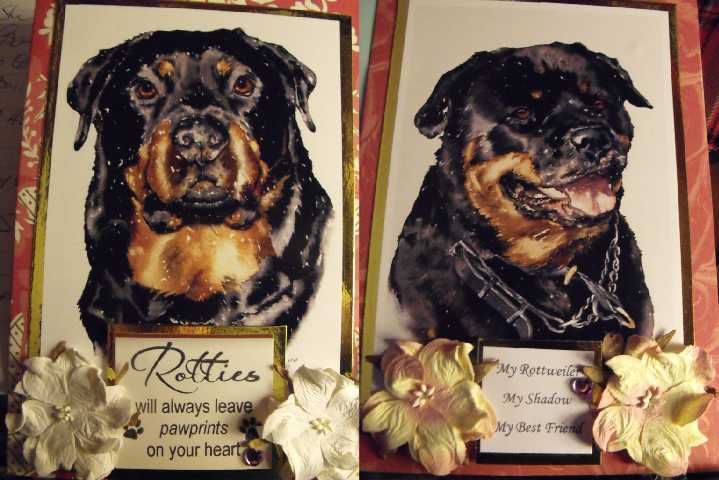 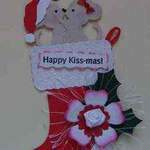 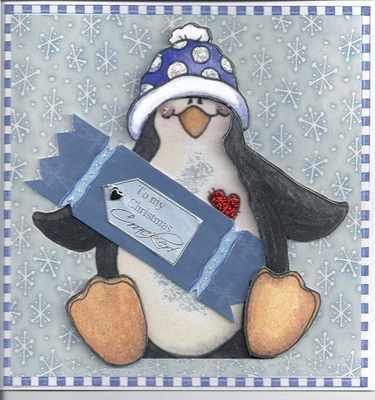 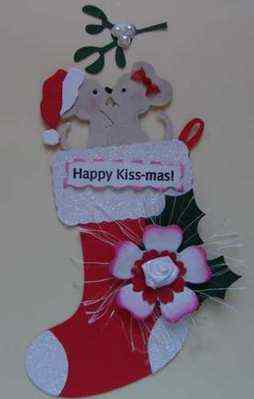 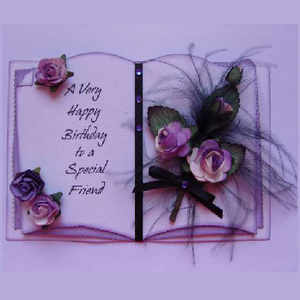 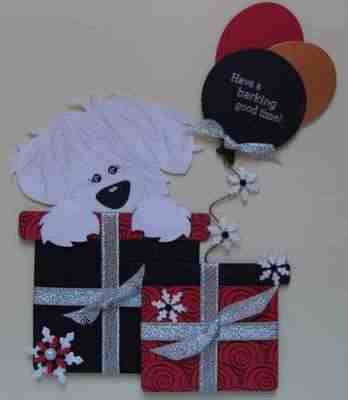 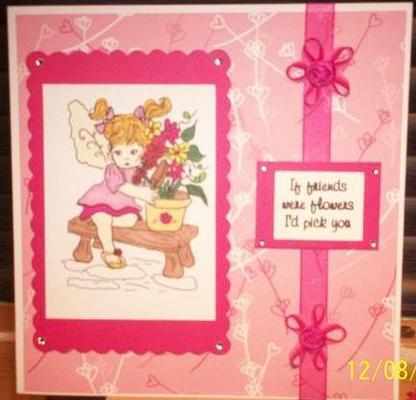 an image on a card. 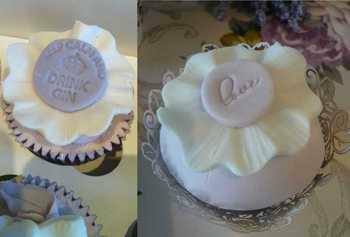 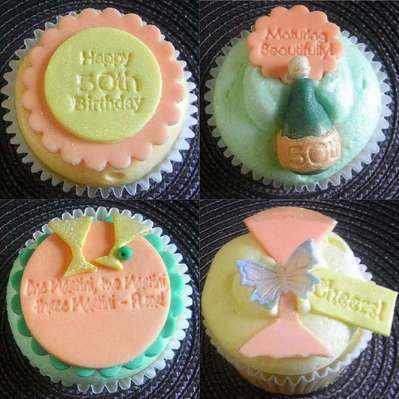 with stamped icing made by Dee. 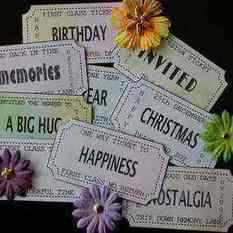 has done the ticket stamps. 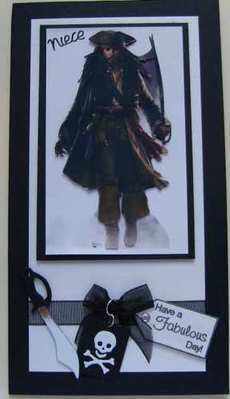 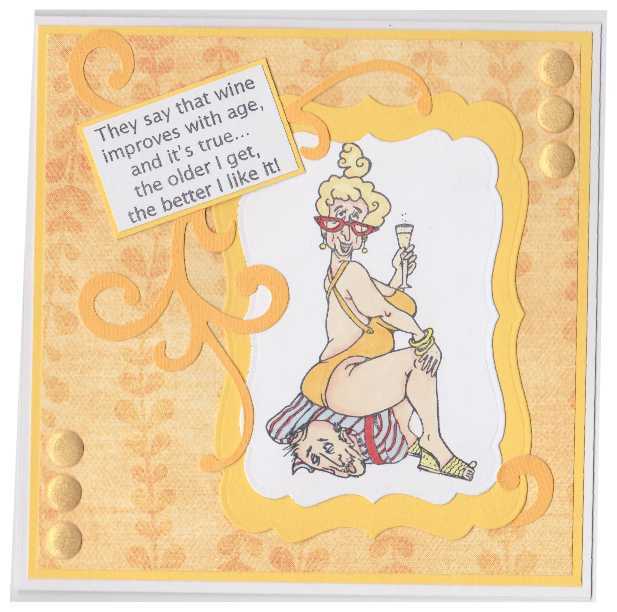 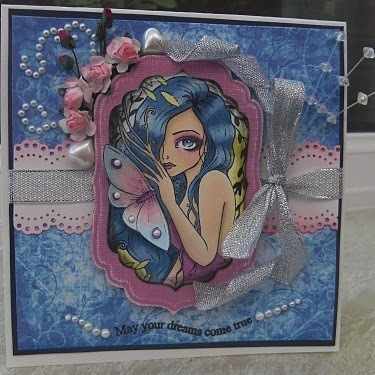 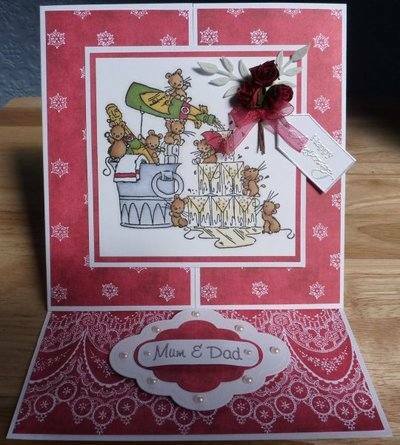 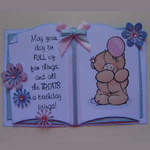 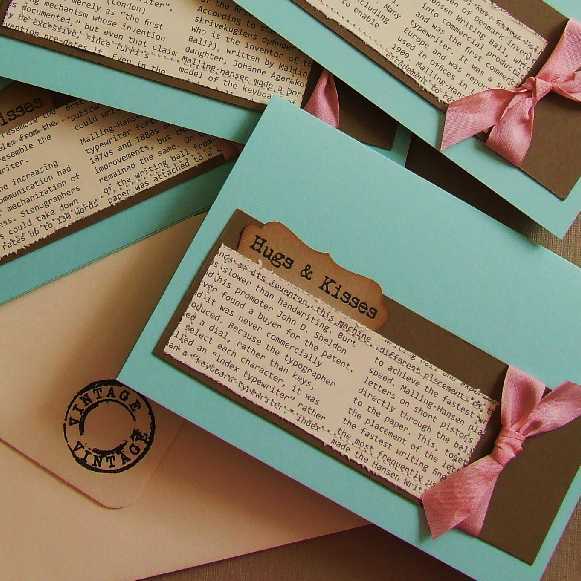 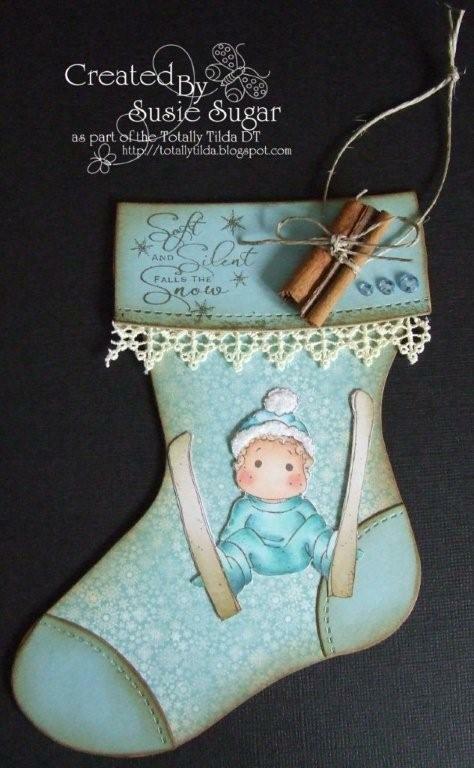 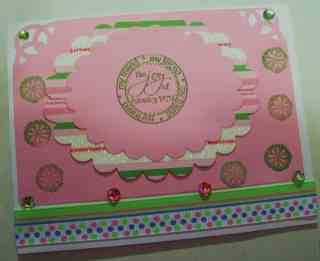 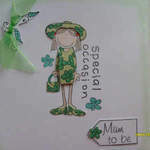 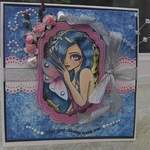 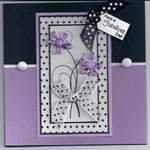 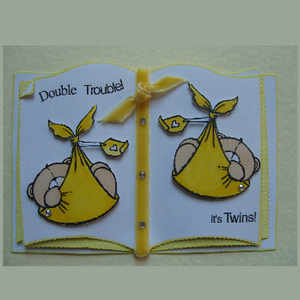 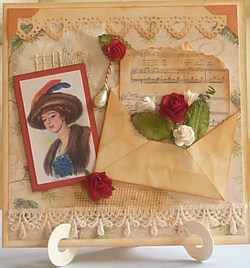 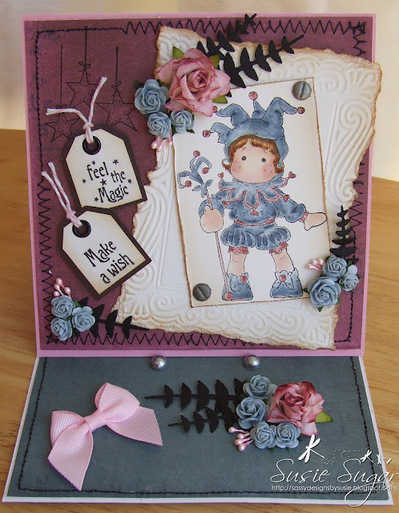 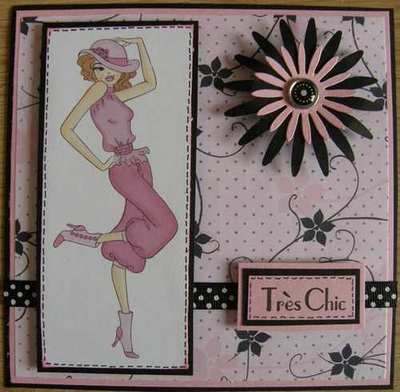 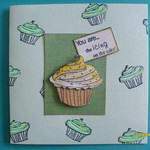 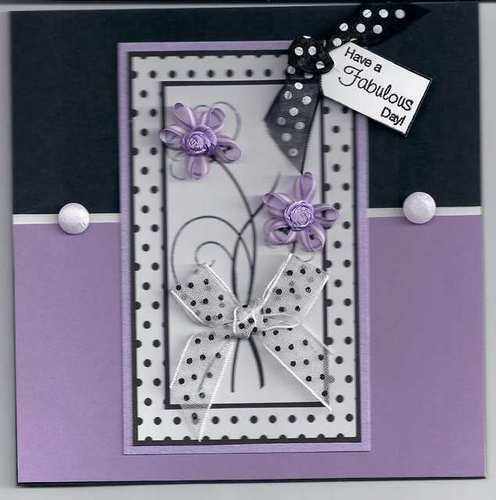 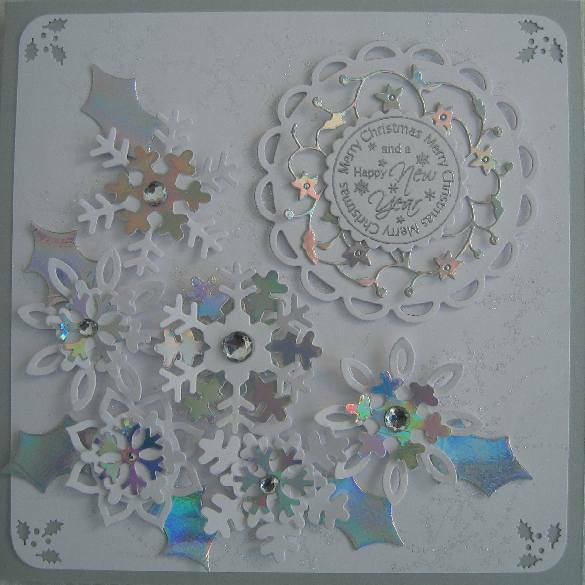 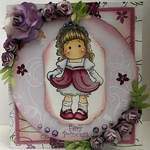 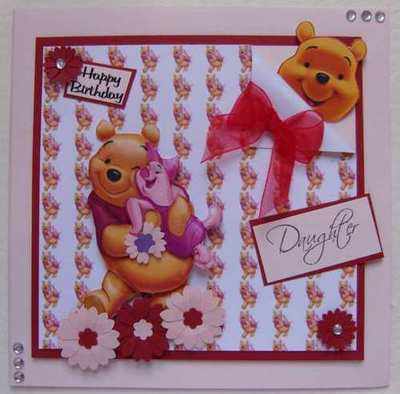 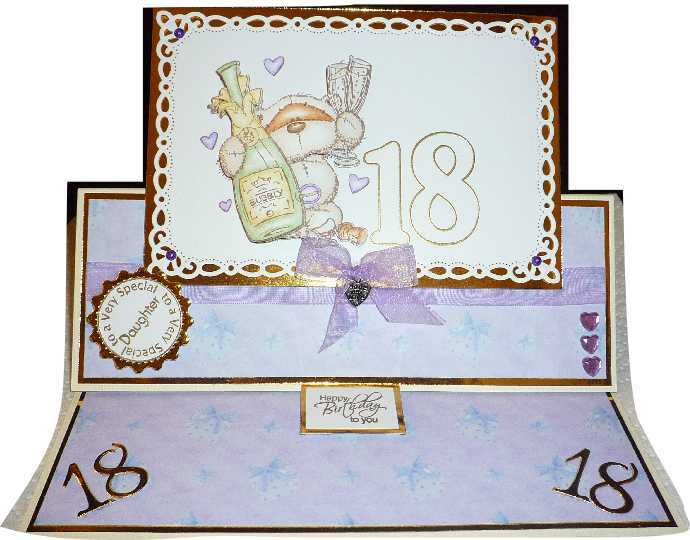 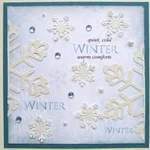 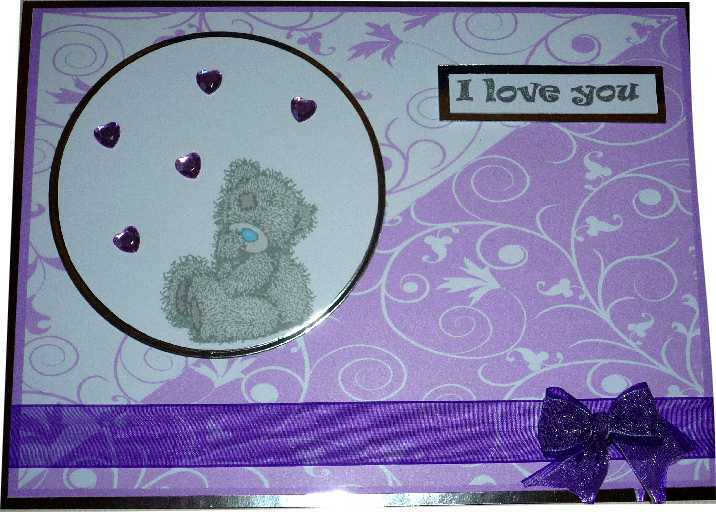 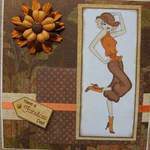 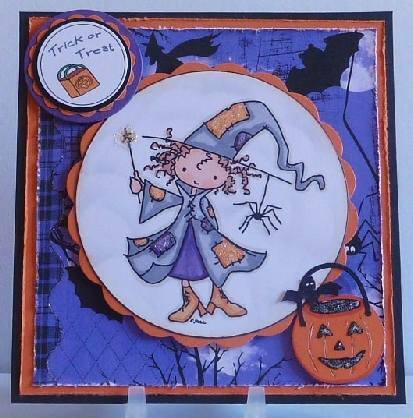 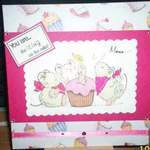 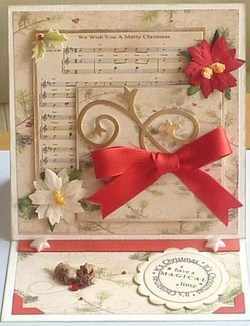 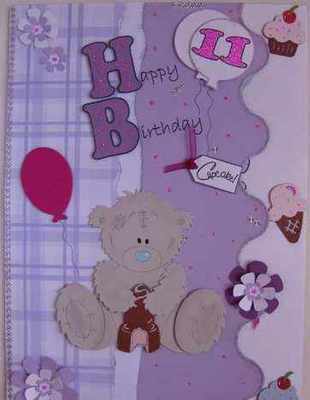 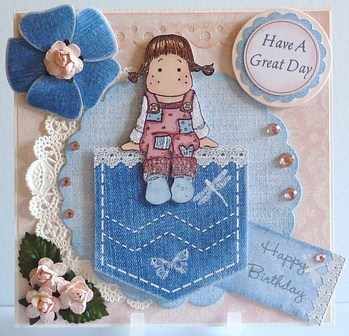 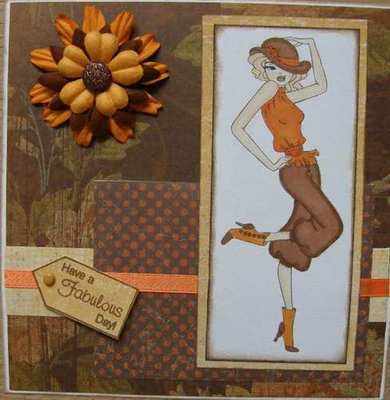 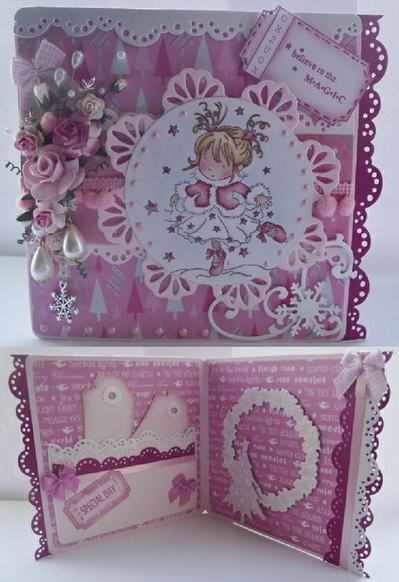 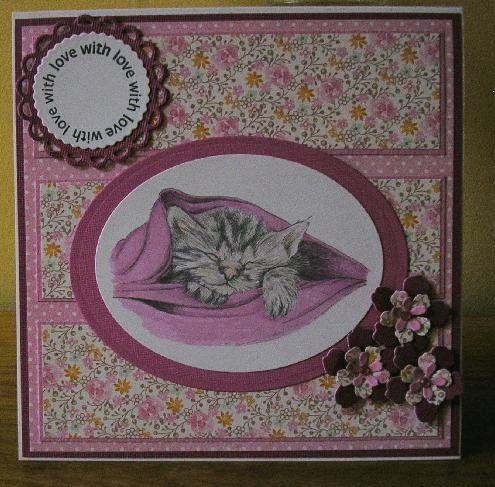 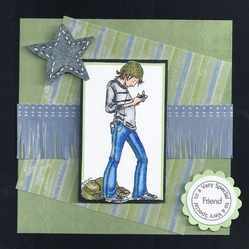 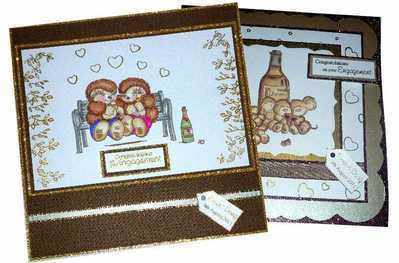 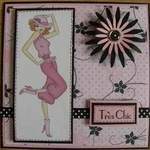 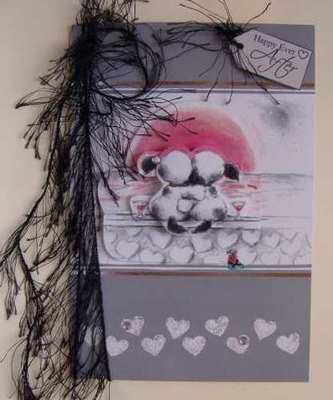 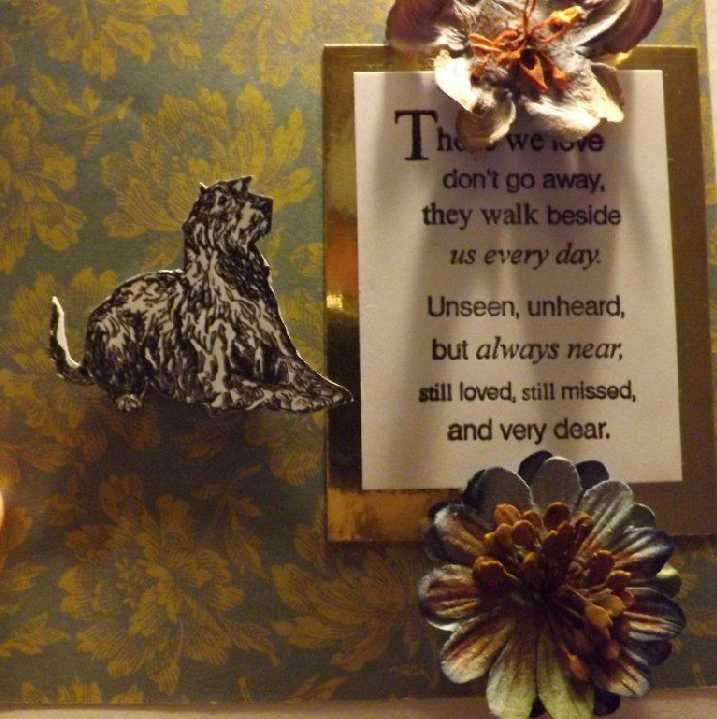 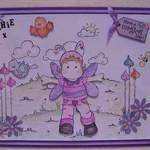 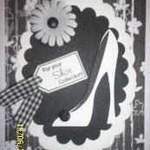 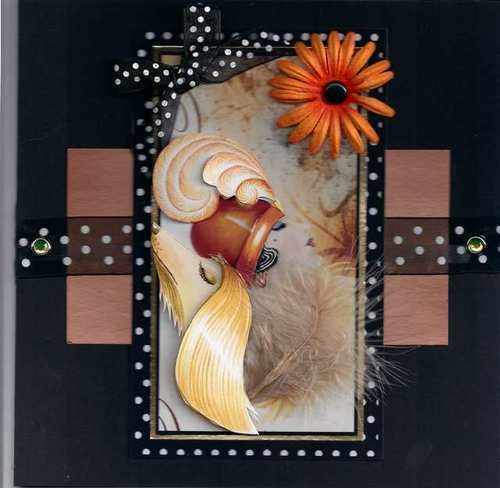 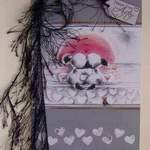 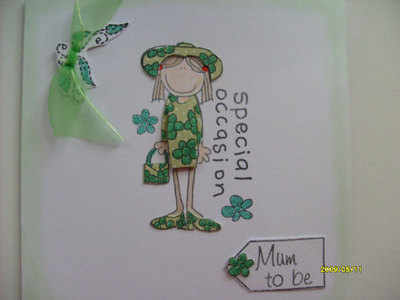 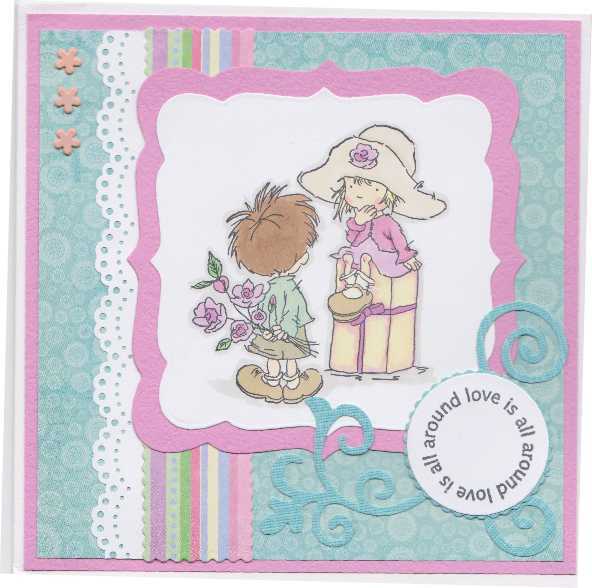 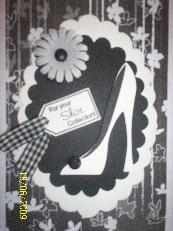 Gorgeous vintage style easel card made by Trish W.